Thunderstorms, some strong early, then variable clouds overnight with still a chance of showers. Damaging winds, large hail and possibly a tornado with some storms. Low 52F. SSW winds shifting to WNW at 15 to 25 mph. Chance of rain 100%. 2 to 3 inches of rain expected..
Thunderstorms, some strong early, then variable clouds overnight with still a chance of showers. Damaging winds, large hail and possibly a tornado with some storms. Low 52F. SSW winds shifting to WNW at 15 to 25 mph. Chance of rain 100%. 2 to 3 inches of rain expected. One of the many items featured in the Native American Indian Artifact Show coming to Frank Cochran Center Feb. 9. The Magnolia State Archaeological Society will give the public a chance to go back in time when they come to the Frank Cochran Center Feb. 9 for their annual Native American Indian Artifact show. The show is free to the public and will be held from 8 a.m.-3:30 p.m. Those attending the show will be able to see incredible works of art in stone and clay prehistoric man used to live and survive thousands of years ago. Displayers and dealers form Mississippi, Alabama, Louisiana, Tennessee, Kentucky, Arkansas, Illinois, Missouri and Oklahoma will be at this show to display their artifacts. "With all of the technology we have at our fingertips today, it's hard to imagine a time when there weren't any cell phones, no computers, of any kind, and no electricity or running water,” said Bill Breidinger, president of the Society. "These are a few of the pleasures that ancient man didn't have when he entered North America some 16,000 years ago. Early settlers of North America had to endure harsh climates, ranging from extreme heat to bone-chilling cold, according to the Society president. "They had to move almost daily to secure food, shelter and clothing for his family and his only mode of transportation was by foot or maybe a dugout boat," Breidinger said. "The only way of getting food was by hunting animals with weapons made of stone and wood." Animals provided dual purposes for early man. Animals were not only a food source, but also were used for clothing and for covering their simple shelters that were made of poles and sticks. "There were no permanent settlements because ancient or "Paleo" man had to follow the herds of animals as they migrated from place to place,” Breidinger added. As centuries passed and the glaciers in the north began to thaw, man started to migrate to the mid-western part of North America. It is believed that there was an abundance of large game in this area but soon after ancient man moved here these large animals began to be killed off. These included Mammoth, Mastodon, Giant Beavers, that may have weighed as much as 400 pounds, Moose, Elk and Short-faced bears. "Man, as has been his nature since the beginning of time, had to adjust and adapt," Breidinger said. "He began to rely more and more on gathering nuts and berries to supplement his diet as well as catching fish and river mussels." Small groups began to band together for mutual support and protection and the first the first communities were formed, according to Breidinger. "People in these small communities began to concentrate on the things that they could do best," he said." Some were hunters, some made pottery, which could be used to boil fish and meat scraps to make soups, some made weapons and tools and others tended the fields and protected them from hungry birds and animals." As centuries passed, man began to concentrate more on growing crops. They settled near the rich fertile river bottoms and small communities became small villages and eventually larger towns. “This is just a small window into the life of prehistoric man,” Breidinger said. “We hope that everyone will come out and be with us on Feb. 9 and see these incredible artifacts. 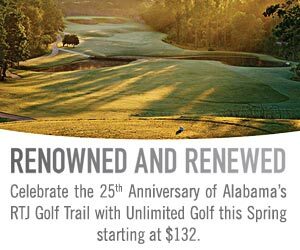 For more information, call Bill at 601-486-6162 or Frank at 662-562-2462.